The website looks simple. The design looks very much like a WHMCS template. Also, not all of the shared hosting packages are shown on the website. Although, there are pros as well. Hostic provides a free SSL certificate with every package. In addition, a free one year .com, .net, .org, .biz, .xyz, .club, .top, or .ca domain name registration is included to Shared hosting Plans 1-4. Moreover, the company offers special hosting packages such as Free hosting and Student hosting packages. With the first one you get 500Mb disk space, 10Gb disk space, one subdomain and one MySQL database. Yes, it is pretty small but it’s possible to use it for the whole year for free. As for the Student package, the company provides 2GB disk pace, 50GB bandwidth, 2 addons and 5 email account at a very discounted price - only $5 per year. Moreover, Reseller hosting price-quality ratio seems good enough. For instance, the most expensive package is at $20/mo and includes: 250GB disk space, unmetered bandwidth, unlimited email accounts and domains. SSD hosting packages are fairly average and do not differ much from the Shared hosting plans. The biggest difference is that one of the SSD packages has unlimited domains, subdomains, MySQL databases, email and FTP accounts. Only the disk space is limited ( up to 15Gb). Hostic does not provide VPS or Dedicated hosting services at the moment. However, they should launch them in the nearest future. The company does not offer any trial periods. However, they offer a 15-day moneyback guarantee for almost all of their hosting packages. Shared hosting Plans 1-4 are an exception. They are partially eligible for refund, as the packages come with a free one-year domain registration. So, only the difference between the package price and the domain registration price can be refunded within 15 days after the purchase. Monthly and annual for all of the plans, except Shared hosting Plans 1-4. The latter have only annual billing cycle. Hostic provides free cPanel with all of their hosting packages. Moreover, all Reseller hosting plans include WHM at no additional cost. Usual disk space, bandwidth, email accounts, domains and MySQL database amount limitations are indicated in the plan description. For instance, here are the limits for Professional SSD hosting package: 5GB disk space, unlimited bandwidth, 50 email accounts, 5 domains and 30 MySQL databases. No additional limits are indicated in the ToS (Terms of service). Hostic can charge additional fees in case you violate the limits described on their website. The servers are protected from DDoS attacks, identity theft and malicious activities. Also, the company provides SiteLock Lite for free with all of the hosting packages. This is a software that checks and scans your account for malware and viruses. Nevertheless, there’s no information on the duration of the free registration. As for anti-spam protection, SpamAssassin is included to each plan. Moreover, you can purchase SpamExpert during checkout for an additional cost, starting from $35.88/yr. All of the servers run on CentOS 7.2. Hostic provides 24/7 chat and ticket support. The representatives are quick, proactive and helpful. The knowledge base is extremely poor: only two articles. Nice and simple shared hosting, good price-quality ratio. It’s suitable for both proficient users and beginners as the support team is very experienced and eager to help. Moreover, Hostic offers an excellent platform for hosting resellers. Get Intel Atom C2350 in 23$ instead of 30$. Get Intel Atom C2750 in 38$ instead of 46$. Get Intel E3-1230 v2 in 65$ instead of 76$. .biz 11.00 USD FREE if user choose yearly plans he/she will get free domain name for the first year. .com 11.00 USD FREE if user choose yearly plans he/she will get free domain name for the first year. .info 14.00 USD .net 11.00 USD FREE if user choose yearly plans he/she will get free domain name for the first year. .org 12.00 USD FREE if user choose yearly plans he/she will get free domain name for the first year. .club 11.00 USD FREE if user choose yearly plans he/she will get free domain name for the first year. What is written about in reviews of Hostic.uk most often? Few months ago i shifted to hostic after using services from almost all of other hosts available online. And I must admit, my decision proved to be fruitful. Hostic is the best from the rest. The services that it has to offer is something you could never expect from the other hosts available online. Hostic is cheap, reliable, modern, and just amazing! All of my sites and in fact, hundreds of my clients use hostic as a platform to host their websites and they are really "overly happy" by the services hostic renders. It is something to be experienced. It's exceptionally phenomenal, Thank you Hostic. Good experience with them. They have friendly customer support and they offer low rates as compared to others. 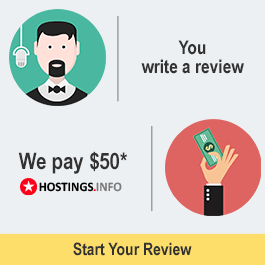 https://softwarescracking.com We checked the site, at the moment of publishing the review, it was located on this hosting. To be honest, it is the best hosting! I tried it for 3 of my websites and all of them working so fine, and customer support is very instant and the support guys are very humble and nice. I am surely going to stick with them for years now. http://Nawabazar.com We checked the site, at the moment of publishing the review, it was located on this hosting. Amainzing hosting rates and support. I love hostic.uk. I recommend hostic.uk if you are in search of a good hosting service. Such an amazing web hosting service, I'm using it's Reseller package and It has been a long time, they are dealing in a very excellent manner. Impressive hosting service I have ever seen, they're providing great deals cheaper. Support is excellent when ever try to reach them responded really quick. These guys are great I would highly recommend using them. http://lifetimesms.pw We checked the site, at the moment of publishing the review, it was located on this hosting. I purchased a Webhosting package from Hostic a month ago and couldn’t be more happy! After signing up I didn’t receive email with my password for cpanel and few other details so I decided to contact them on their live chat and that was the moment I saw professionalism! the person who I chatted to was able to quickly help me with my problem and in minutes I had the cPanel password and was able to change it, also no matter what question I asked the adviser he was able to quickly give me an answer that would be more then satisfying. The hosting itself it’s brilliant, good quality and fast servers loaded with plenty options, if you like installing ready scripts then softaculous is the way to go - it’s packed with scripts installations(blogs,cms, calerndars etc). Genuinely outstanding customer service! http://hostingmonster.co We checked the site, at the moment of publishing the review, it was located on this hosting. Such a professional and reliable service. I've had no issues since switching over to Hostic.uk. The process was simple and dealing with their customer service was nothing short of a pleasure. 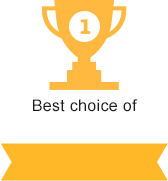 Polite and helpful staff really have helped to solidify Hostic.uk as the best provider I've worked with and I wouldn't think twice about referring them to friends or colleagues in the future. Excellent work!